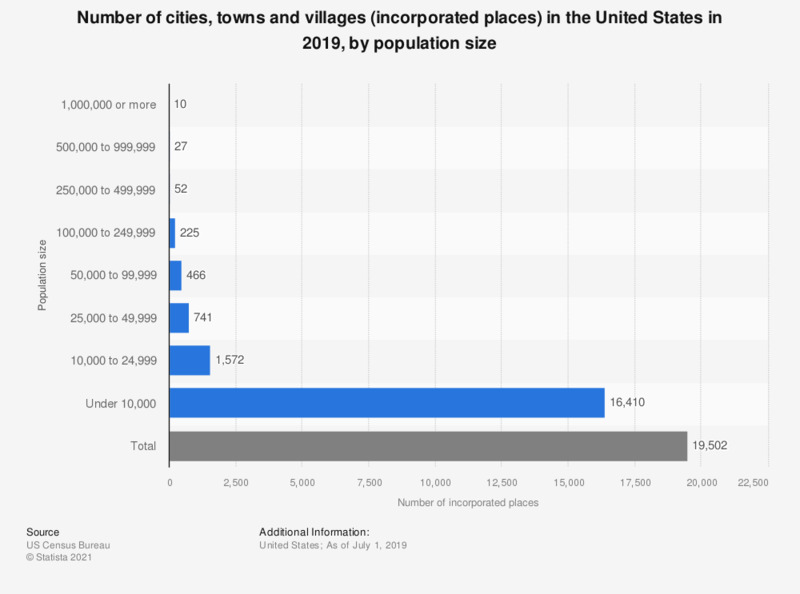 This statistic shows the number of cities, towns and villages (incorporated places) in the United States in 2015, by population size. In 2015, 10 cities exceeded a population size of 1,000,000 people. In 2015, 81.62 percent of the U.S. population was living in an urban area.